The Narwhal's tusk is actually a long tooth. The Narwhal range goes as far north as any other mammal. Except for an occasional exception, female Narwhals do not have tusks. 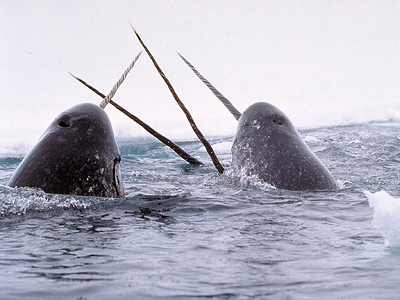 Some male Narwhals have two tusks. Narwhals will sometimes school in large groups of thousands of narwhals.